We are proud to be a part of this wonderful and innovative event! Come see us in Amarillo, TX on May 31st! We have a few things planned for this event that should be incredibly fun! Plus there’s carnival rides! 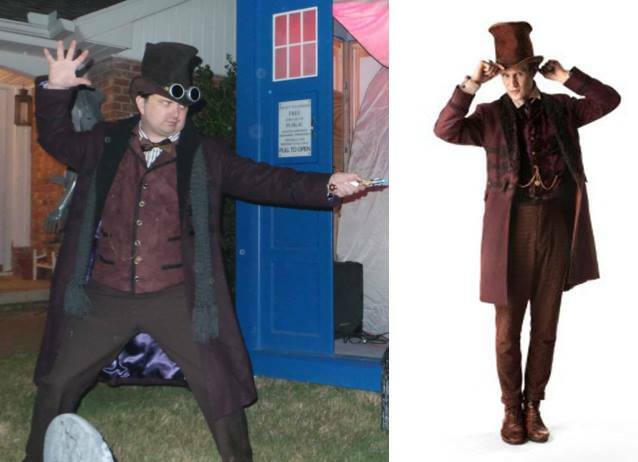 This will be an event not to be missed by any fan of Steampunk! Go to their Go Fund Me site (click the image) and help them make this event even more amazing! 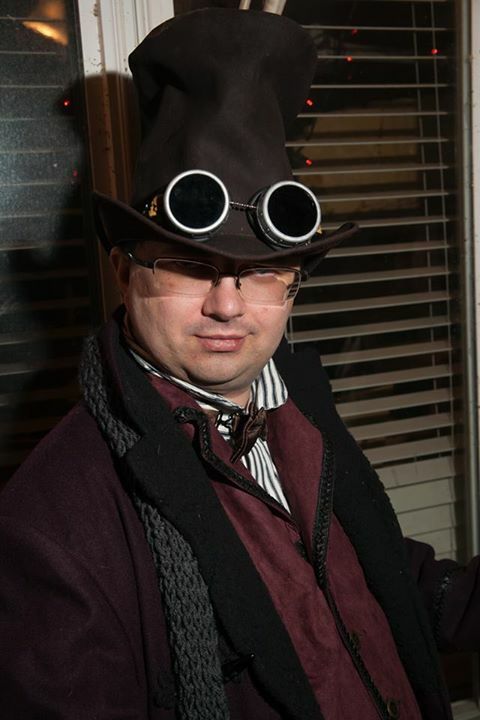 Saturday (4-5pm): Steampunk for Beginners – Learn how to break into Steampunk without breaking the bank! 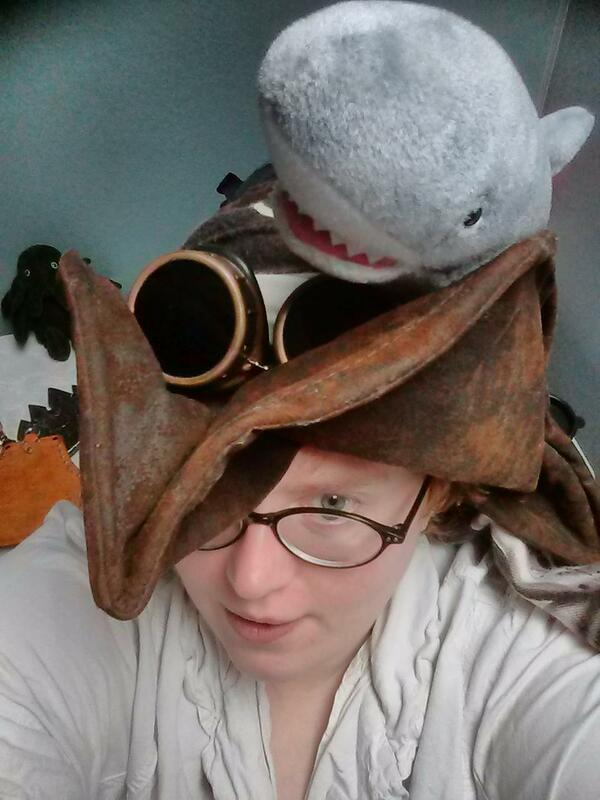 Sunday (3-4pm): How Firefly Inspired your Steampunk – A round table discussion about how Joss Whedon’s Masterpiece inspired you and your Steampunk! Come visit us at our table! We’ll see you there! After 3 years in development, Airship Horizons is happy to announce that we’re entering the BETA phase of our LARP development. The Aether Roleplay System (ARS) is ready to be tested! We’re looking for anyone who’s interested in Steampunk LARP to take some time and look over our system and if inclined, run a game using it. It’s designed to be exceptionally fast and easy to play. So players of all levels are encouraged to tell us your thoughts. All we ask is that you give us your feedback! We want to know what you think! 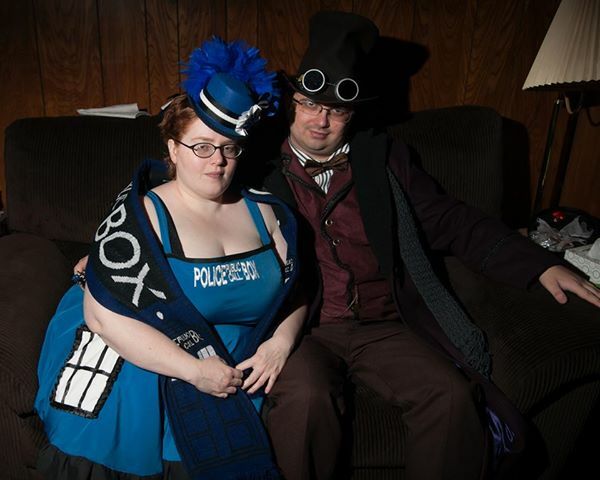 In honor of Doctor Who’s 50th Anniversary this year, the Captain and her First Mate dressed up as the Doctor and the TARDIS. 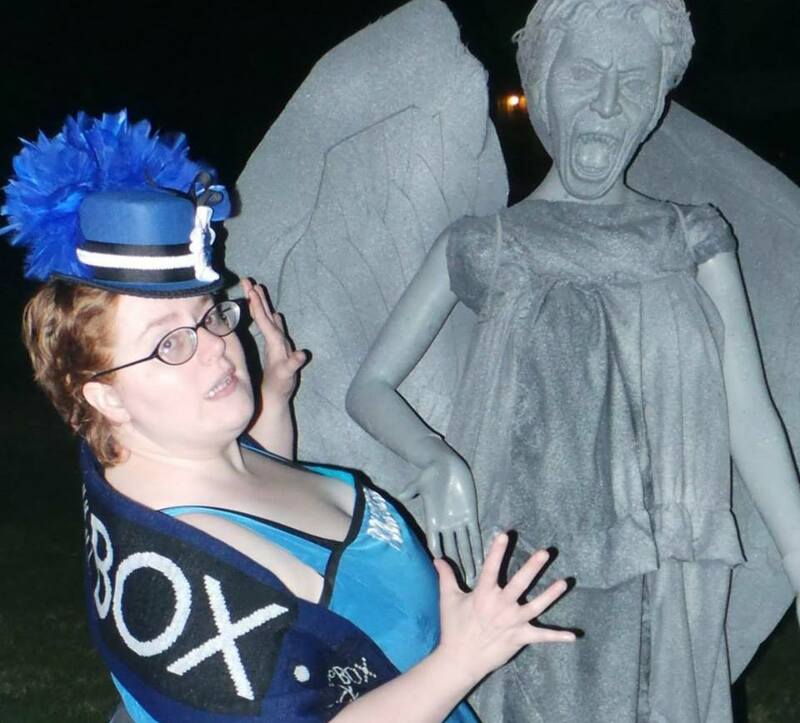 Here are some pictures from the Doctor Who themed Party we attended. We’re all still alive and well, and having a good time! We haven’t blogged or posted to facebook much, as we’ve been through a lot of changes. After the tornadoes, the Captain and 1st Officer had a change in jobs – all good things and promotions. A good chunk of our time has been dedicated to adjusting to our new jobs and rescheduling our hobbies around that. However, we’ve all been enjoying ourselves, doing stuff together, and re-organizing the ship during the down time. We took this opportunity to hash out some improvements (both for the Airship and our personal lives) and explore new ideas. 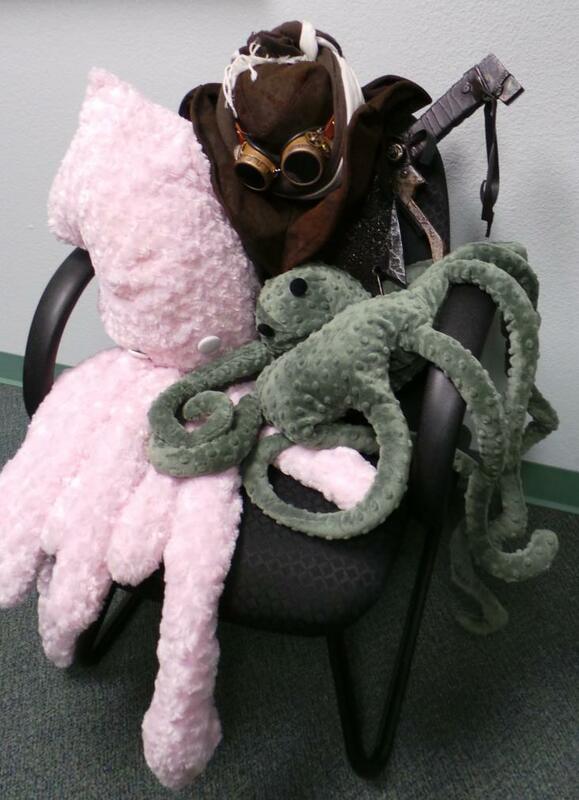 We want to be more than just in the steampunk scene, so you may see us venturing into other conventions as we go into the new year. Stay tuned for more! Our Mascots, Dickie & Hugo, enjoying Talk Like A Pirate Day! Tornado season has been brutal here in Oklahoma this year. Thankfully, our crew and loved ones have fared well. It was scary and intense, but we’re all very strong! We’ve had some hardships and some promotions, and changes… it’s been a crazy couple of months. Unfortunately, due to some of those hardships and changes, we just can’t make it to Bayoucon. We really wanted to go, but we really can’t do it. We’re very sorry for the cancellation! However, we are still on for Ama-con on July 20th in Amarillo, TX. We are going to try to get as many of the crew there as we can (hopefully the whole crew). We will have a vending table setup with props and toys as usual. We will, also, be hosting our Darkside of Steampunk panel as our Dark Ministries personas. This panel covers a more gothic style of Steampunk inspired by works of HP Lovecraft, Mary Shelley and Bram Stoker. 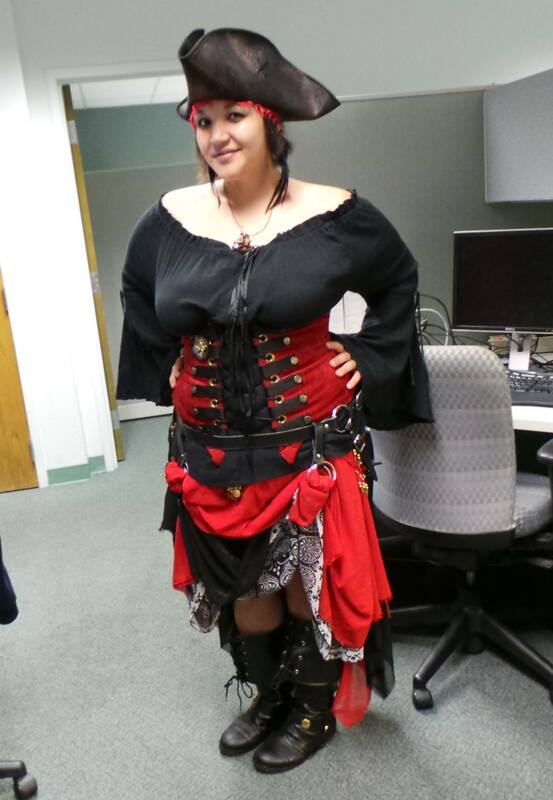 We, also, talk about building a “Bad Guy” Steampunk persona. So be sure to check it out! As things are settling down more and changes are underway, we hope to get more stuff posted here and on our facebook page. We have a crafting room / engineering bay to get cleaned out and setup. We have storage bins and tools to buy. Then we can get more work done and maybe record some videos! We also have plans to do some public hangouts and maybe some panels via streaming. We’ll see! We have a lot of work to do. If all goes well, we may have the opportunity to do more local community stuff. It’s a slow process, but we hope to get more done soon. Anyways, look for us at Ama-con and join us on facebook!